Officers from the Totton Neighbourhood Policing Team have seized cannabis, cash, drugs paraphernalia and weapons during an operation. A search warrant was carried out at a house on Testbourne Road in Totton on Monday 3 December. A 17-year-old boy from Totton is helping us with our enquiries. 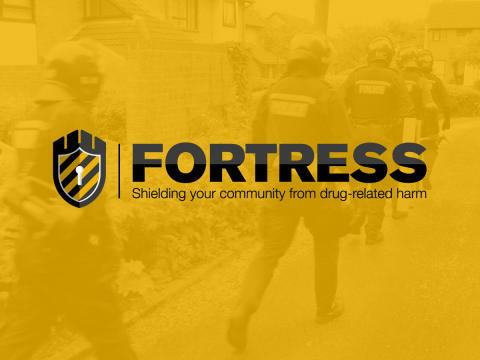 The operation was carried out under Fortress, Hampshire Constabulary’s campaign to reduce the harm of drug-related violence. Sergeant Rob Ford said: “We’re determined to identify and disrupt anyone who is concerned in the supply of illegal drugs. “This operation shows that we will respond to information from the public about drug dealing and take action to reduce the harm it causes. “Following the operation, my team has been out in the area to reassure local people and provide advice. “If you have concerns about drug-related activity in your area, please don’t assume that someone else will report it. Even the smallest piece of information can help us develop a clearer intelligence picture.